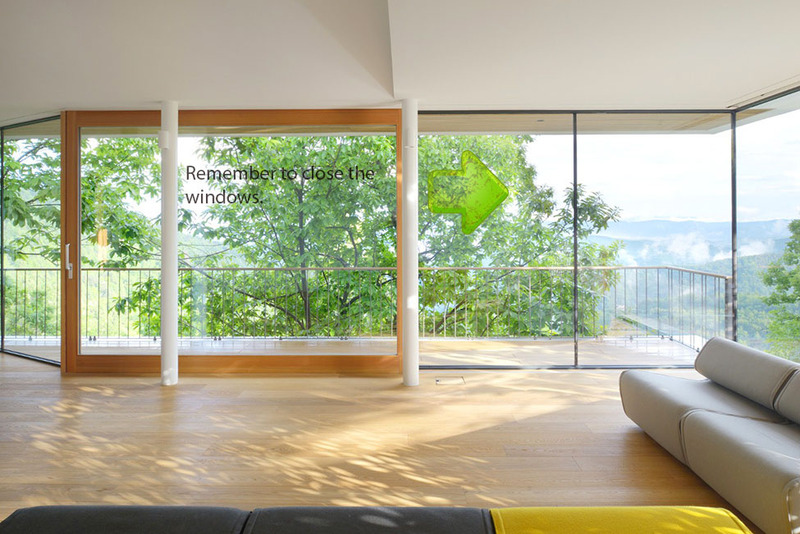 Windows that work as a TV, using the window in your lounge as another way to view things, even social media and through shades of light you can control what to focus on. A phone created by using a device that detects the surface area of any object, then is able to display information over it and detect touch through the link. Creating your own phone. Using water to display information for the morning schedule, not sure how to apply to a product? We discussed where I could go from this point in the project. 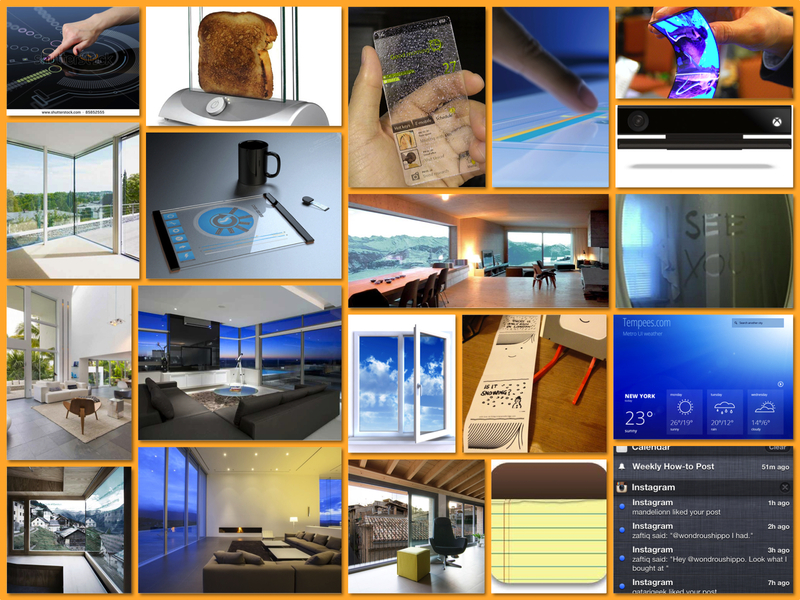 After talking with others in the group, I wanted to go with the window design idea however instead of just for multimedia, It could possibly be for reminders or notifications, such as closing the window when you go out or doing the washing up when you’re in a certain room. This eliminated an actual screen for use and made the product more like having post it notes over walls but interactive ones which change dependent on your own lifestyle. After this session I immediately made a mood board and a few ideas through photoshop to mock up what it could look like. This was what I am going to develop I think for the final Idea, I just need to figure out how to create a video describing how the actual product works in the allotted time. I think I am going to do a still frame motion that will explain the whole sequence of the design.